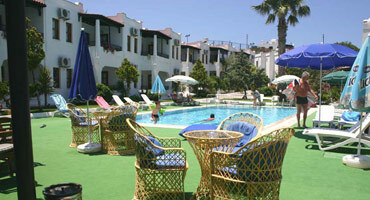 Çimentepe Apart Hotel was built in 1995 with four 2+1 apart,fourteen 1+1 apart and four studio flats. All rooms with sea and pool view. Restaurant is with 60 outdoor and 140 indoor capasity serving whole year long. Our restaurant is open to non-residence guests. Excellent, very clean apartment's but best of all were the staff very friendly great with kids. Would definitely recommend. On site food very good cooked from fresh. Local bus to town again easy.